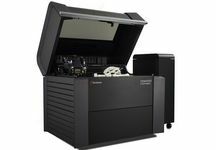 The Stratasys J750� 3D Printer delivers unrivalled aesthetic performance including true, full-colour capability with texture mapping and colour gradients. Create prototypes that look, feel and operate like finished products, without the need for painting or assembly, thanks to the Stratasys J750’s wide range of material properties. 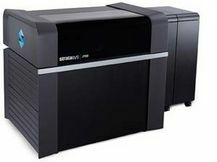 With an astounding 360,000+ colour combinations to choose from and multi-material capability, the Stratasys J750 allows you to bring even your most imaginative ideas to life. Colour comes naturally to the Stratasys J750: neutrals and neons, shadows and highlights, textures and gradients - over 360,000 colors automatically mapped from your design software for photorealistic models. "J750 means you can load your most used resins and avoid downtime associated with material changeovers. Print simulated production plastics, like Digital ABS™, in half the time or with twice the resolution"
Produce ultra-smooth surfaces and fine details with layer thickness as fine as 0.014 mm -- about half the width of a human skin cell. 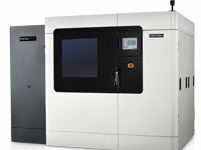 Plus, next-generation print heads double the number of nozzles for increased speed and print quality. 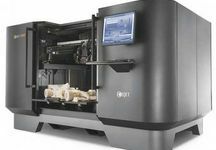 With high efficiency and low cost per part, you’ll realize ROI in no time with the Stratasys J750. No matter what industry or application, the Stratasys J750 can take on any 3D printing need and adapt for your changing requirements. The versatility of the Stratasys J750 stems from its high material capacity. By blending up to six materials in specific concentrations and microstructures, right on the build tray, it yields hundreds of thousands of colors, translucencies and durometers. Blending Rigid Opaque materials, you can 3D print in over 360,000 colors for unmatched realism. Add Rubber-like materials for a range of bright and subtle colors, opacities and elastomer characteristics. Incorporate transparent materials to vary tint and opacity. Simulate standard ABS plastic to produce durable tools and prototypes that are tough and heat resistant. Combine with Rubber-like material for outstanding durability and a range of Shore A values. The Objet500 Connex1 features triple-jetting Poljet technology for unbeatable product realism.